The most memorable brands try to leave their consumers with an experience they will remember and want to share with their friends. Whether it be an emotion or a comfort or an outright surprise, you know when it touches you, you feel it when it happens and it stops you in your tracks. The simplicity and uncomplicated innovation of the YuYu Bottle is doing just this. It’s creating an unforgettable surprise, it’s stopping consumers in their tracks, making them reach for their phones to take selfies or shout out for their friends or family members – creating a consumer reaction that most brands can only dream of. 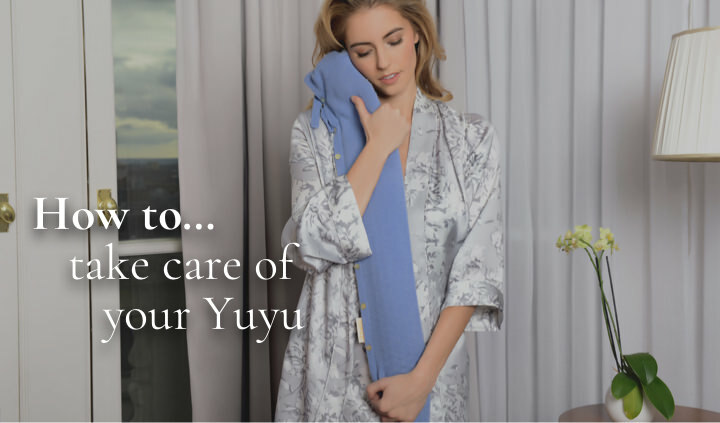 Already brands such as the Mandarin Oriental, the Four Seasons and The Ritz have commissioned their very own luxurious bespoke designs, sharing the YuYu gift of warmth and creating an immeasurable connection between brand and consumer. 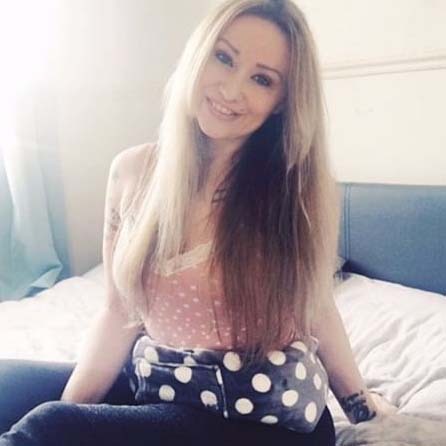 Private hospitals and medical experts have come forward to endorse the conveniently ‘longer shaped’ hot water bottle, also available with a wearable belt for pain relief and comfort for a range of chronic illnesses ranging from Endometriosis to Crohn’s disease. "There’s no greater gift we can give another human being than our WARMTH"
You may recognise this best selling blue cover from our cashmere collection, however this one has been adorned with exquisite gold embroidered branding, in full Ritz style. 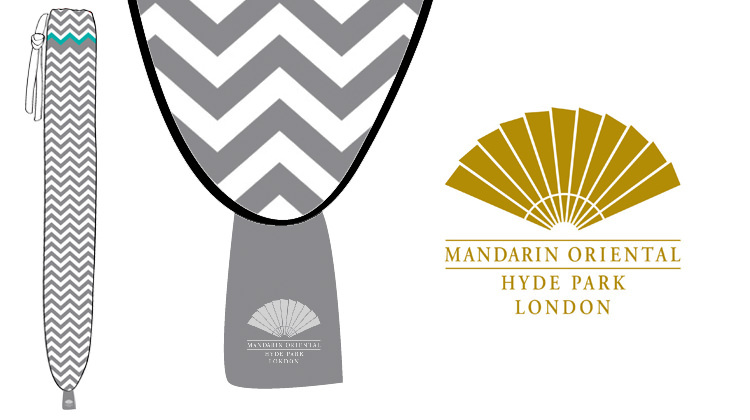 The Mandarin Oriental, Hyde Park, London, were the first to set their eyes on our new season chevron collection. 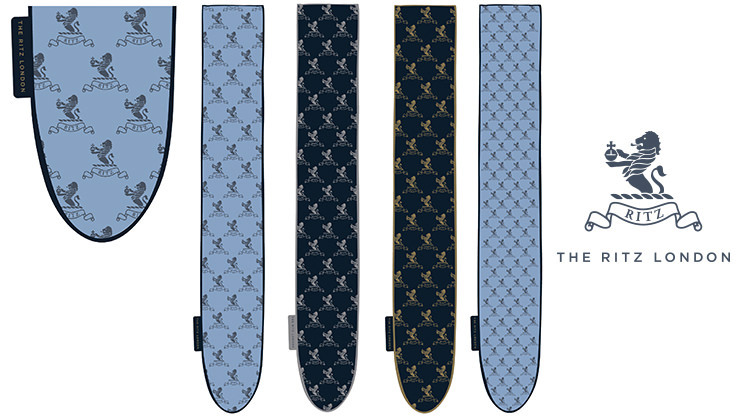 Embroidered with their logo, you can now find the catwalk-inspired prints warming guests as they sip champagne on The Mandarin Oriental's terrace overlooking Hyde Park, in the Spa and in the VIP Suites. 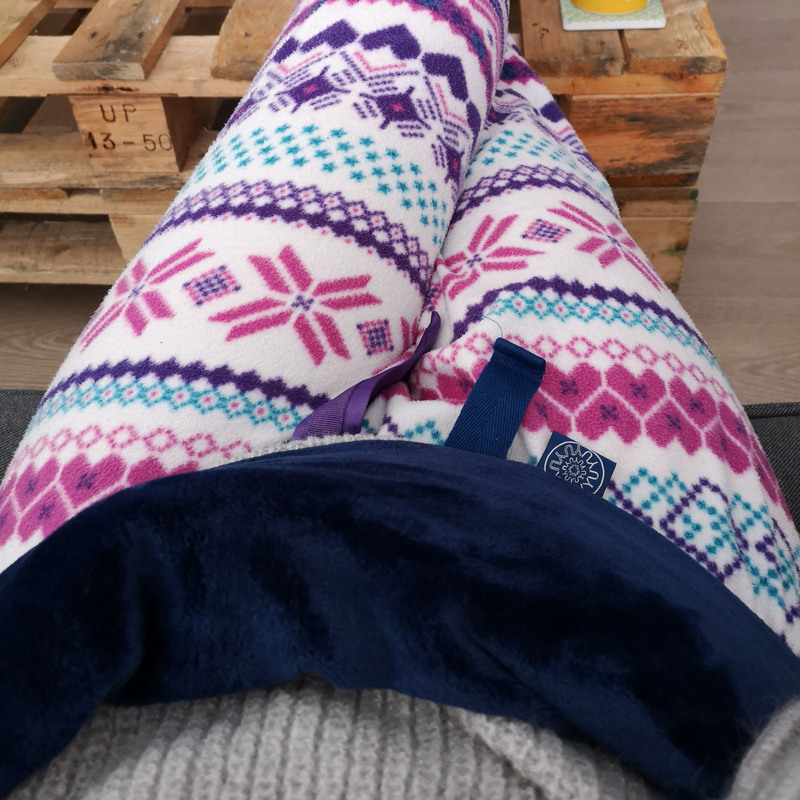 Who ever said hot water bottles are just for cold countries? 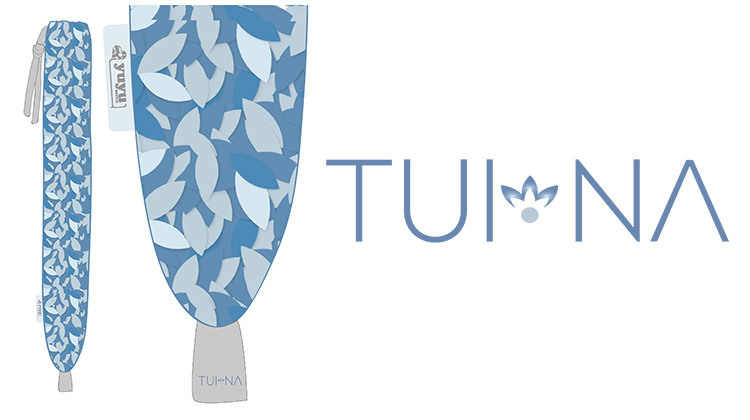 The beautiful TUI-NA Spa is located in Bahrain and is a participant of a 'YuYu bespoke' collaboration. Our design team worked closely with theirs to create a YuYu bottle that is a unique representation of their iconic brand. 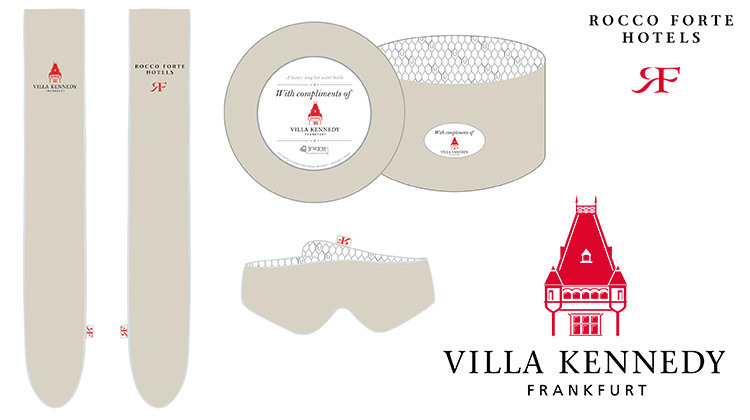 The Villa Kennedy Hotel is based in Frankfurt and offers a bespoke YuYu package to its guests. Presented in a circular gift box, the YuYu is accompanied with a beautiful over-sized eye mask for perfect relaxation, all designed in their symbolic pantone colours & logos.